MR. FIX-IT™ is proud to be a Gutter Helmet dealer as this lets us offer the best in gutter protection to all residents in Virginia. Who wouldn’t be proud to offer the brand that’s been America’s # 1 choice for over 30 years, and running? 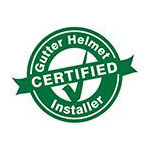 Our experience also complements the top-notch quality Gutter Helmet is known for, allowing us to provide gutter protection that our clients can rely on for years to come. 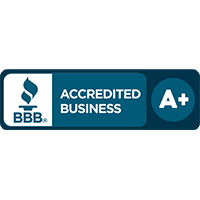 The company has been given the Torch Award for Marketplace Integrity, the highest award from the Better Business Bureau. We’ve also been given an A+ rating, in recognition of our dedication towards providing our customers with only the very best. Be it bathroom or kitchen remodeling, basement or attic finishing, or room additions, we take home improvement seriously, so our clients are satisfied at every turn. We can even help you with odd jobs around the house if needed! MR. FIX-IT™ is a family-owned and -operated company, founded by Meir Binshtok in 1970. When he retired in 2005, Mark Binshtok took over as president. Since then, Mark has been working tirelessly with all our other employees to deliver excellent home services at affordable rates. Our reputation for great customer care is built on over 40 years’ worth of experience in the industry, which gives us the sensitivity to anticipate and cater to our clients’ every need. Call us today at (866) 985-9437 for a free consultation with our experts or fill out an online form for a free quote.